It’s that time of day for the Meet Me Monday Linky Party! I love seeing what you all have been up to. The party gets better every.single.week. Here were the most “clicked” on links from last week. Western Warmth shared an awesome posts on the tree skirts that she sells. Super popular! Like homecoming queen popular! 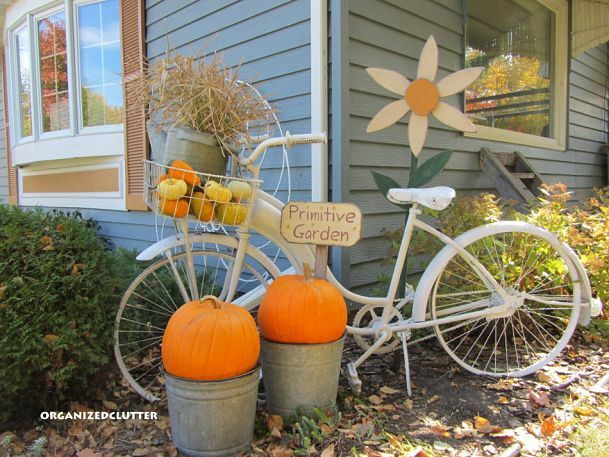 Organized Clutter shared her Hometalk Clipboard “Garden Junk”. Ya’ll are some junk lovin’ people, because it was the second most clicked on link. Life In My Empty Nest shared a gorgeous “NO SEW” Burlap runner tutorial. I love anything NO SEW. I.Just.Do. 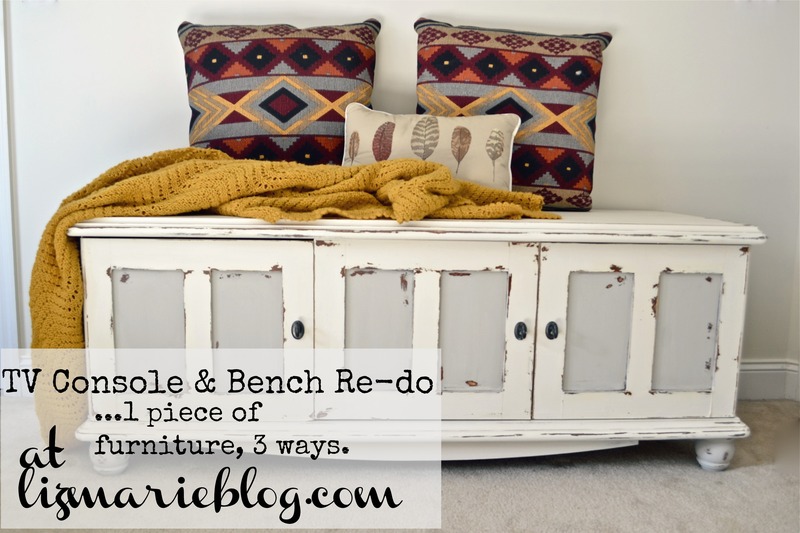 Liz Marie shared an awesome re-do of a TV Console into a bench. I am SO copying this idea. LOVE! But may I say…..MUST SHE BE SO CUTE AND crafty? Seriously? And now it’s your turn. What are you waiting for? ← Are “used gifts” offensive? Thanks Rebecca for the feature. I think my garden junk posts always do well. Wish my inside junk did as well! I think this is the second week in a row that I was first…..Does that make me special??????? Thank you for hosting, Rebecca. Hope you and your family have a wonderful Thanksgiving! It is always such a nice surprise to see you are featured – thanks so much for highlighting my burlap table runner. Happy Thanksgiving! Those are some cool features that you’ve got there! Need to go visit some of them! Thanks for hosting this party, and I hope you and yours have a happy Thanksgiving! Hi Rebecca; lovely features this week. Thank you for hosting. Thanks for hosting. 🙂 Wishing you and yours a Happy Thanksgiving! Happy Thanksgiving week Rebecca 🙂 Hope it’s a wonderful one! Thanks for hosting. Rebecca, what wonderful features! Glad to link up! Wishing you and your family a very Happy Thanksgiving!